The Young Avengers battle the sons of the Serpent. The Avengers arrive to assist but one of the villains detonates a Nuke. Wiccan manages to contain the blast and render everyone except the heroes comatose. The Avengers then become very concerned about how much power Wiccan possesses and his similarity to the Scarlet Witch. The Avengers try to keep Wiccan in their care but he storms off. Captain America discloses his identity to his parents before Wiccan agrees to stay with the Avengers. 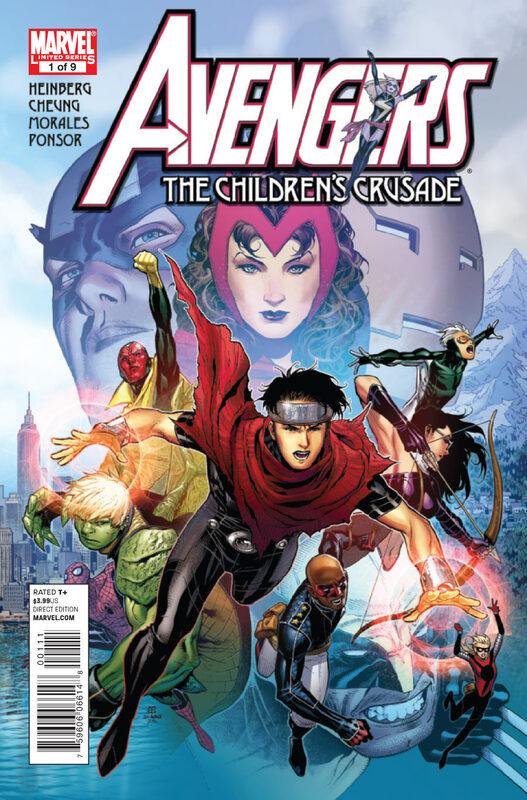 At Avengers HQ Wiccan Is joined by Hulkling but before they can protest the Young Avengers break them out. Here Wiccan’s grandfather Magneto enters the fray. I loved the art and covers along with the wholly accessible nature of the story. We get a recap of House Of M, Avengers Disassembled, the Scarlet Witch, M-day and a neat introduction to every member of our team. What’s more impressive is that this takes place within the first thirteen pages of the book. The book also had a healthy dose of emotion as Cassie Lang wished her father was still alive while Wiccan and Speed have family issues that clearly need to be resolved. On the down side because of all the explaining what takes place the first half reads like a comic from 1990; it was full of exposition which may put off more modern comic readers. I love this new blond haired Hulk ! Who is he exactly ?